Language Immersion is an approach to foreign language instruction in which the usual curricular activities are conducted in a foreign language, in this case, Spanish. This means that Spanish is the medium of instruction for all subjects and activities at Mi Casita. Immersion students acquire the necessary language skills to understand and communicate in Spanish. Immersion is seen as a highly effective way to learn a second language. A Spanish Immersion Program offers students the ability to become bilingual at a very young age. Young brains are hard wired to acquire language. Taking advantage of the window of opportunity between birth and adolescence allows a child to optimize his or her language learning potential, and speak the second language with a native accent. Mi Casita students will be able to speak and understand both English and Spanish. Unlike learning a language later on in life, young children typically do not feel inhibited or scared to speak a new language. Research shows that bilingual students gain additional academic, cognitive and employment benefits later in life. Research shows that students who study a second language score higher on average than their monolingual peers. Bilingualism can also benefit in the work place. Research shows that bilingual workers earn, on average between 5% and 20% more than their monolingual counterparts. Most importantly, Spanish Immersion creates multicultural, critical thinking students and future leaders. Young children learning a second language will learn Spanish the same way they learned their first language, but this will occur at a different rate for each student. Most children will go through a ‘silent period’, when “the child is building up competence in the second language via listening, by understanding the language around him”. (Stephen Krashen, 1982). Mi Casita teachers ensure student comprehension by using hand and body cues, stories, inflection, facial signals, songs, games and fun to make clear what is being communicated. That said, there are many factors that go into each child’s specific timeline for acquiring and speaking Spanish. 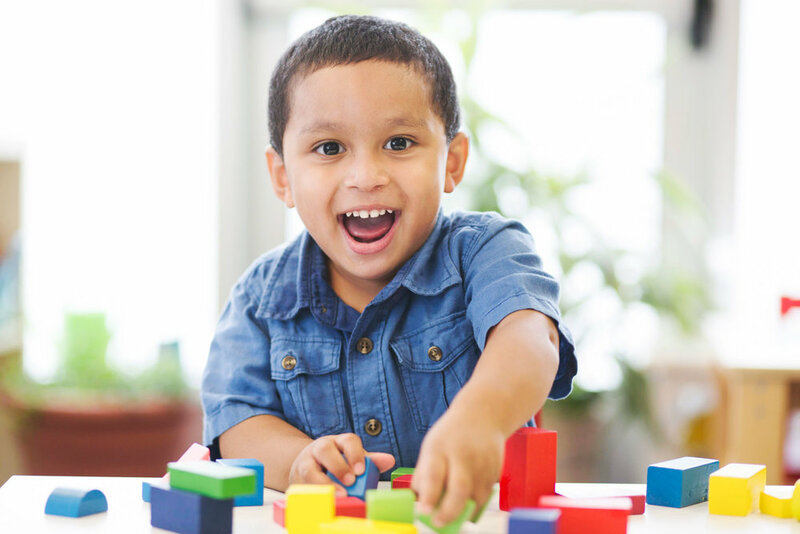 It typically takes between 5 and 7 years to achieve fluency in a second language, but there are many factors to consider for each child’s route to speaking Spanish. These factors include time in school, personality, exposure to Spanish outside of school and personal background with Spanish. A child who attends Mi Casita twice a week will acquire Spanish at a different rate from a student who attends Mi Casita five times a week. It is also important to note that students who are not speaking right away are definitely processing and will eventually shift to creating oral production. Mi Casita preschool is based on the concept of Authentic Learning. In short, authentic learning is real life learning. An authentic learning experience is a multifaceted, interdisciplinary investigation of a real world topic. The topics are interesting and engaging to the students which keeps them enthusiastic and genuinely excited about a multitude of things to learn about in the world. As students delve deeper into the topic, they are exposed to early literacy, math and logic, science, art and critical thinking skills. Teachers become facilitators and nurturers as students continue to investigate real life experiences throughout the thematic unit. By the end of the unit, students have created a tangible, meaningful product to be share with their community. This also applies to bilingualism. Because students will hear Spanish exclusively at Mi Casita, students will begin to associate Mi Casita with speaking Spanish. They will associate speaking English (and/or other languages) outside of school. We know that students will receive a substantial amount of exposure to English outside of school, from exposure to conversations with families, friends, TV, radio, books, etc. Brains have the capacity to comprehend and understand more than one (even two or three or four!) languages, and learning at a young age is the best time to do so! Does my child need to know Spanish in advance of registering for Mi Casita? No! Your child does not need to know Spanish or have any prior knowledge of Spanish. We assume children coming to Mi Casita are being exposed to Spanish for the first time. However, we welcome and encourage children who have some prior knowledge of Spanish. We have no Spanish speakers at home. How can we support our child? Spanish is the vehicle with which students learn academic concepts such as reading, science, math, art and music. Those concepts can be reinforced at home in either English or Spanish. Each month, parents will receive monthly vocabulary lists as well as the theme of study so that they can reinforce vocabulary and concepts at home, in either English or Spanish. For instance, if we are studying farm animals at Mi Casita, parents may consider reading books, singing songs, etc. about the same subject in English. Mi Casita follows the state requirements for each age group, but we try to average a 1:5 ratio throughout the entire school regularly. Are there any Spanish Immersion programs for elementary students? Mi Casita currently serves students 18 months or confidently walking to 5 years old. We also offer after school programs for elementary school aged children. I want to learn Spanish to support my child! Do you offer any adult classes? ¡Sí! Mi Casita intermittently offers classes for parents and also has a list of great Spanish tutors for more in depth instruction. Mi Casita is open from 7:30 am to 6 pm, Monday through Friday. Each semester, there will be at least one optional field trip that takes place on Saturday or Sunday. Parents and guardians are encouraged to join in and be part of the Mi Casita field trip experience!